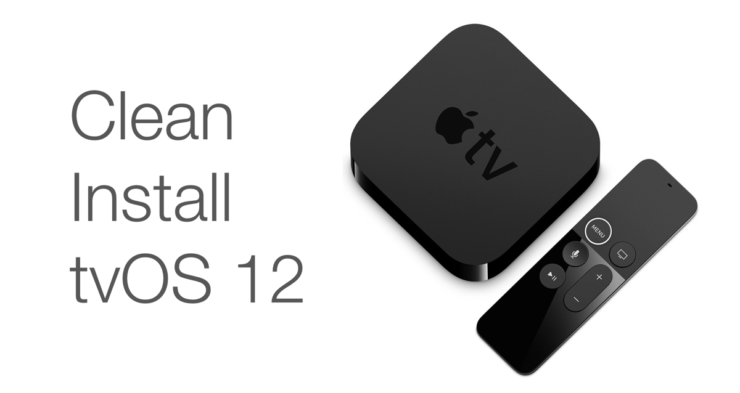 Here’s a complete tutorial on how to clean install tvOS 12 on your Apple TV 4. Please note that this guide is not applicable to Apple TV 4K. Now that the tvOS 12 update is available for download, users are going to decide which route they are going to take in order to get up to speed. You can go ahead and install the update over the air, which is the easiest possible method. But, if you’re looking to go the extra mile then you are probably thinking about doing a clean install of tvOS 12. It’s a process that’s limited to the Apple TV 4 only since the 4K model does not have a USB-C port which you can use to interface with iTunes, ultimately restoring a fresh IPSW file on it. So, before you begin, there are a few things you should do. First and foremost, download the tvOS 12 IPSW file for your Apple TV 4. You can do so by going here: Download tvOS 12 for Apple TV 4 and Apple TV 4K. The IPSW is linked at the foot of the post. Also make sure that you buy a USB-C to USB-C or a USB-C to USB-A cable in order to connect your Apple TV 4 with your PC or Mac. Make sure you buy the right cable given which port you have on your desktop or notebook. With that out of the way, simply follow the steps outline below. 1. Connect your Apple TV 4 with your PC or Mac using a USB-C cable and launch iTunes. 2. Click on the little Apple TV-like icon on the top left hand corner. 3. If you’ve downloaded the IPSW file already then simply click on the Restore Apple TV while holding down the left Shift key (Windows) or the left Option key (Mac). Select the IPSW file when you’re asked for it. Alternatively, you can just click not he Restore Apple TV button and iTunes will download the IPSW file itself and restore the device. 4. First iTunes will extract the firmware file, restore your Apple TV, verify it all with Apple and then you will be notified once the installation is complete. 5. At this point you can unplug your Apple TV 4 and plug it back to your TV, simple as that. That’s it, you’re now left with a fresh installation of tvOS 12.